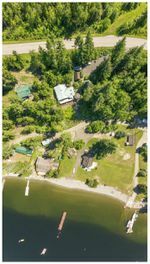 CABIN on Shuswap Lake in Shimmering Waters Resort with 3 Bedrm, 2 Bathrm panabode log home that offers stunning lakeviews & full access to the beach just steps away. This is a share sale in a corporation that owns the property, commonly known as a COOP with an undivided interest in the specific lot No 13. This lot has its own private, paved driveway & offers tons of privacy, peace & quiet. Fully furnished & finished on both levels offering open beam, vaulted wood ceilings upstairs with 2 Bedrm & full bathrm, open concept living room with wood burning fireplace. The lower level offers an additional Bedrm & Bathrm plus a large family room also with a wood burning fireplace & a wood stove! Walk out level offers easy access to bring in firewood. There is also a cedar clad sauna & full workshop with OH door. In addition there is a detached bunkhouse, detached garage & detached 2nd garage with wood shed. Tons of mature landscaping & a staircase that leads to the designated beach area with a dock & buoy. Outdoor lakeview deck includes a fully screened dining room gazebo perched right over the lake! 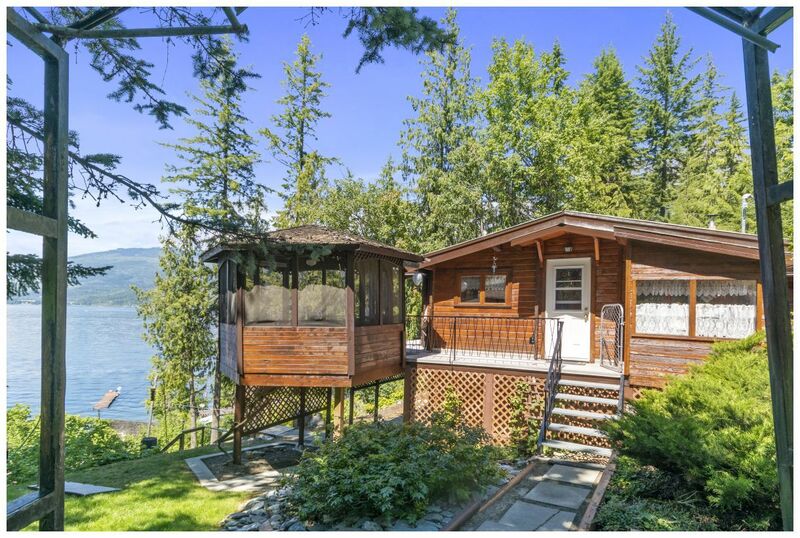 It simply does not get more affordable than this to enjoy the Shuswap Lake lifestyle! See more info here at www.BIGRob.ca including a virtual tour video then call Rob McKibbon for your viewing appointment today; 250-804-6288 or SOLD@BIGRob.ca, Thanks for your interest!